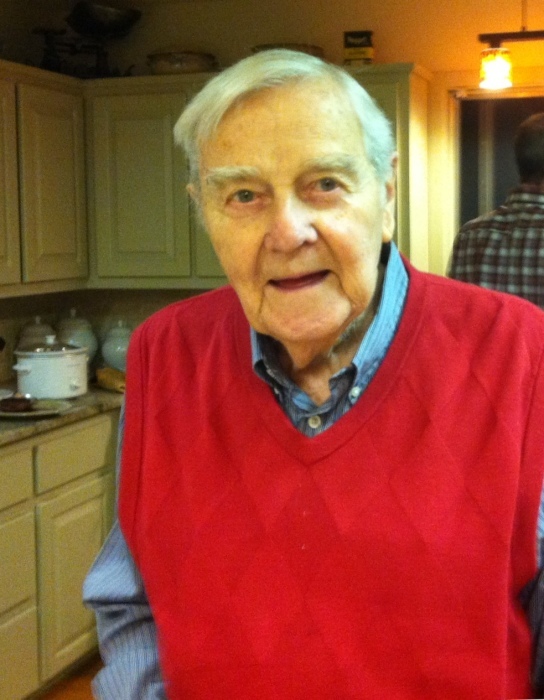 Otto R. Kirkpatrick, 97, of Rogers, Arkansas, passed away December 4, 2018. Otto, also known as “Kirk”, was born October 12, 1921, in Marianna, Arkansas, to Ardale Rollwage and Scott Lucilius Kirkpatrick. He was a devout Christian Scientist and served as a reader. As a teenager his family moved to Forrest City, Arkansas, where Otto made his home until 2004 when he and his wife Rosemary moved to Rogers. Otto called Forrest City home for the majority of his adult life. There is where Otto lived, married, and raised his family. He was very active in numerous community organizations, serving as Rotary Club President, President of the Forrest City Country Club, Master and 32nd degree Mason, Potentate of the Shriners, and President of the FC Chamber of Commerce. Additionally, Otto was instrumental in the development of Village Creek State Park and in bringing Sanyo Industries to Forrest City. Throughout his years in Forrest City, Otto was the owner of Kirkpatrick Insurance Agency and later opened Mid-America Tours. He and Rosemary loved to travel and visited numerous countries throughout their years together. A World War II veteran, Otto was a Captain in the Air Force, serving with the 344th Bomb Group. He was a bomber/navigator in the top secret group known as the Pathfinders and was awarded the Distinguished Flying Cross among numerous other medals. Otto was a loving husband, father, grandfather, and great-grandfather. Always a Southern gentleman, his kind and gracious personality and truly delightful sense of humor stayed with him until his death. He is survived by his loving wife of 70 years, Rosemary Haven Kirkpatrick, as well as their four children: Lou Kirkpatrick of Maumelle, Rick Kirkpatrick and wife, LaVonne of Springdale, Dale Montgomery and husband, Bobby of Bella Vista, and Scott Kirkpatrick and wife, Lea of Rogers; four grandchildren, Scott McDonald, Katie, Haven, and Ty Kirkpatrick; two step-grandchildren, Katie and Kory Montgomery; and one great granddaughter, Adama McDonald. A memorial service will be held at 11 a.m. Friday, December 7, 2018 at Stockdale-Moody Funeral Home, 2898 West Walnut, Rogers, AR. Memorials may be made to the Alzheimer’s Association or any charity of the donor's choice.